I've got movement on the mind, my friends...as per usual. I've recently had opportunities to write and speak about my relationship to movement, sharing these perspectives with a broader audience base than my own. 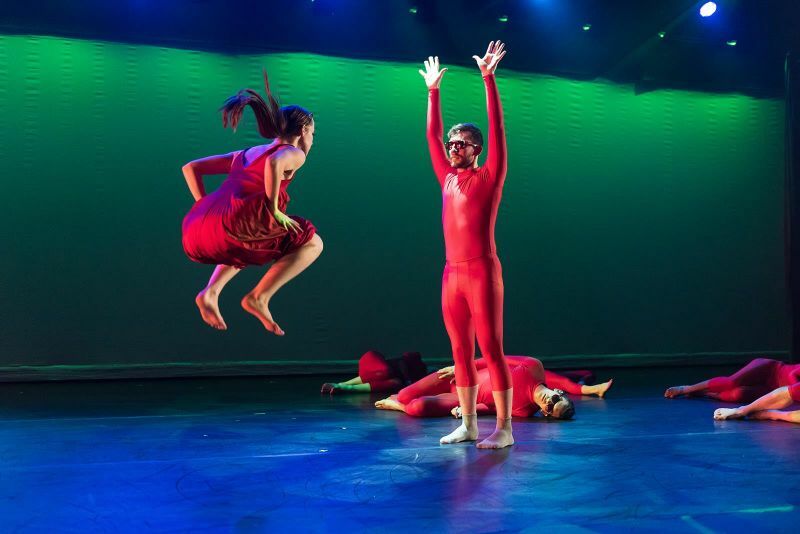 It's also opening weekend of BodyVox's show, Pearl Dive Project, and we just closed opening night to a standing ovation from a sold out crowd, which always feels grand after putting in so much time and energy throughout the creative process. I lead a movement-rich life, but it feels particularly abundant with movement delight as of lately, and there's so much of it that I want to share with you! Because it's so full with moving and grooving, I don't have a whole lot of time, or quite honestly, patience, for sitting in front of a computer these days. 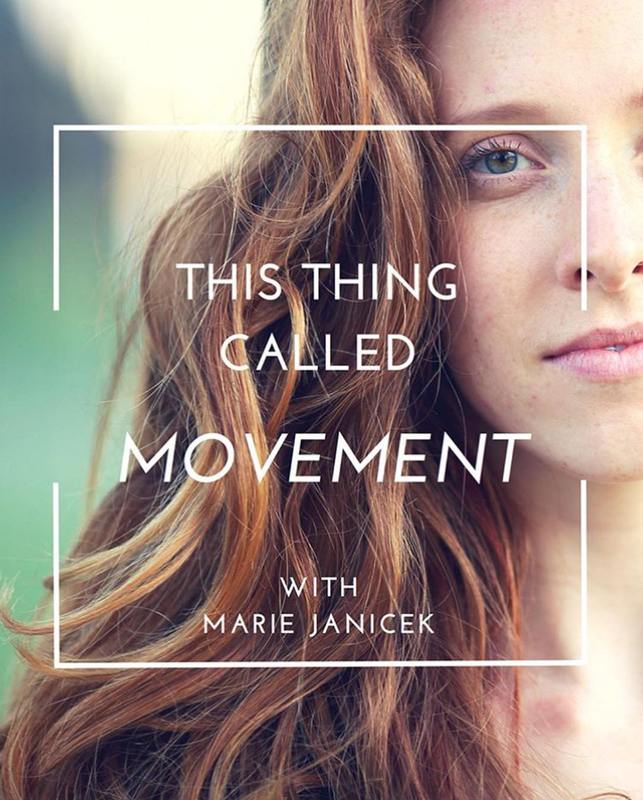 Luckily, my podcast episode on This Thing Called Movement released last weekend. So instead of reading my writing this new moon, you can listen to me talk about my movement journey, my beliefs on the healing benefits of movement, and how bringing movement into the natural world is imperative for personal growth and connection to what it means to be a human being. I hope you enjoy the listen, and it inspires you to take your movement practice outside of the comforts of the insulated studio or gym setting, and into the raw, primal places of our beautiful home! Episode description: Jessica McCarthy is a dancer, healer, teacher, artist, and so much more. Her work centers around holistic integration using movement, plant medicine, and reconnecting back to ourselves through ancient rituals of our ancestors. Jess and I had so many commonalities we discovered in this episode, including our mutual love of nature, tree-hugging, and dancing freely outdoors. She has such a deep sensorial and emotional connection to movement, the earth, and how these two powerful forces can create massive shifts when paired together. You can’t help but feel a grounded sense of safety and nourishment when hearing Jess speak- and that energy effortlessly flows through her work as well. Some of the topics we unpacked included the concept of vulnerability, and how to navigate it when it comes up in our movement practices, the relevance of nature in reconnecting to our bodies and our humanity, and the power of sound. This was an exciting conversation for me to have as we uncovered new connecting threads between movement and life, and I hope you all enjoy listening to this episode as much as I did recording it! Be sure to share this episode with friends if you enjoyed listening, and of course please leave us a review if you liked what you heard! and awaken to the truth that how you choose to move in this world matters. What will happen when artists and innovators working at the peak of their profession immerse themselves in a craft they’ve never considered? The Pearl Dive Project melds creative worlds in a collaboration of movement and ideas, the likes of which have never been seen. Copyright © 2019 Luminous Architecture*, All rights reserved.